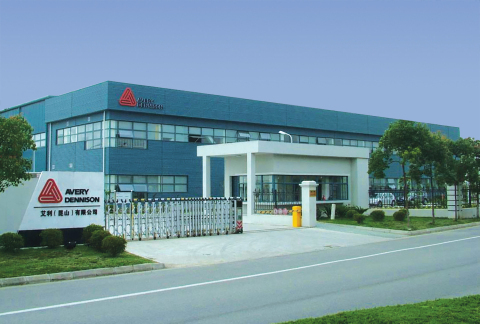 "Avery Dennison has 80 years of experience in adhesive coating, including 20 years in China. We look forward to putting our vast knowledge of adhesives and tapes to work for several of China’s key industrial segments." 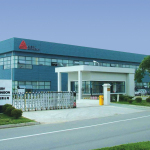 KUNSHAN, China--(BUSINESS WIRE)--Avery Dennison Performance Tapes has increased its Kunshan, China manufacturing capabilities with the installation of a new custom-built coater and enlarged the plant’s size by 3,500 sq. meters (37,674 sq. ft.). Avery Dennison will begin taking orders for products manufactured on the coater October 1, 2015. According to Michael Johansen, global vice president and general manager, Performance Tapes, the new equipment and plant expansion reflect the commitment by Avery Dennison to serve the needs of industry in China. Johansen notes that the plant will manufacture a broad range of high performance industrial tapes that bond different materials and substrates in diverse applications. Electronics uses include touch-screen and touch-pad mounting, speaker mesh, batteries, backlit applications and lenses. Internal automotive uses include foams and gaskets, and noise reduction applications. Seat heating and airbags are typical comfort and safety automotive applications. External automotive uses include the bonding of badges and emblems, and brake shims. Adhesive solutions used in large domestic appliances, elevators, building and construction, and packaging are examples of general industrial applications. The high-speed, versatile custom-built coater can coat various coatweights and run solvent or emulsion adhesive tapes with a maximum width of 1.52m / 60 inch. It incorporates state-of-the-art safety systems and is part of an overall investment that includes adhesive storage, adhesive mixing and sophisticated exhaust systems. The Kunshan plant expansion includes a new lab with test equipment that will enable Avery Dennison to develop new products and maintain the high quality and performance of its existing products. It also houses a manufacturing hall, as well as new offices and labs on the first and second floors. Avery Dennison expects to hire 30 additional employees to accommodate the new production and testing capabilities, with that number increasing as the business grows. Public Relations for Business, Inc.